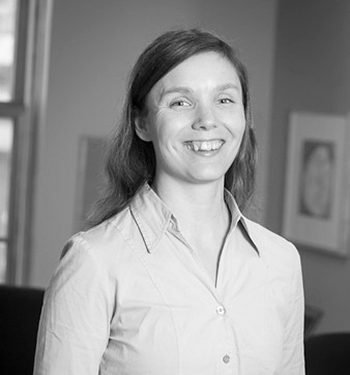 Sarah is a sustainability change consultant with over 17 years’ experience facilitating multi-stakeholder groups to co-create and implement processes to solve complex sustainability issues. For the past 10 years she has been a Senior Associate and Special Advisor, Systems Transitions, and past member of the leadership team for international consultancy, The Natural Step (TNS). She spearheaded their Sustainable Business Program, designing advisory services for corporate clients. Sarah has led the development and implementation of award-winning sustainability strategies for clients such as the world’s fastest-growing commercial real estate services firm, Avison Young; aerospace giant Pratt & Whitney Canada; chemical company Rohm and Haas (now Dow Specialty Chemicals); homebuilder The Landmark Group of Builders; and environmental NGO The David Suzuki Foundation. She currently leads the Circular Economy Lab, a collective initiative of The Natural Step, Smart Prosperity Institute and the National Zero Waste Council.